Not sure if this post will go up, but if you’re reading this it did! Wow, nothing is more humbling than stepping onto the soil of a new continent. Going about daily life, you think things around you are so important, but it all gets put into perspective when you realize you’re just one human being in a species of billions all trying to survive. Chilling! My flight left at 10am and it’s now midnight here and I’m late for bed! I can’t believe two days of my life are just gone! But despite all the sitting, they have been fun (mostly because of the fun meals 😉 ) One of the other Lipton journalists – Kelly, a food writer for TreeHugger.com – happened to be seated across the aisle! We got to chat a lot, which was fun. I also managed to sleep for 2 solid hours on the second flight. I felt so much better after my nap. But before I could nap, I had to eat again! I feel like this trip has just been meal after meal, but the meals have all been between 4 and 6 hours apart, so I have been somewhat hungry and ready to eat. Just not as ready as I would have been if I’d eaten less at the previous meal The meals also come at the beginning and the end of the flights, so that makes the spacing odd too. As our “lunch” appetizer, we had more of those yummy (chilled) mixed nuts. I had a tiny 1 oz pour of white wine and a sparking water while I watched The Office in the sky!!!! I guess my breakfast was the muesli meal I had at 5am, so this lunch came around 11:30. First was a smoked salmon plate (yay!) with some mixed greens and a seedy roll. 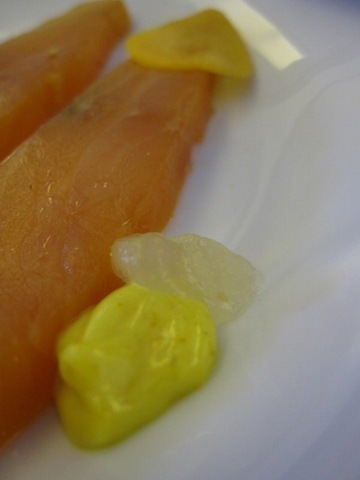 The salmon was excellent, but the best pat was the tiny dots of lime jelly + curry mayo!! Such a unique and delicious combo. I ate all but one of the salmons and the whole roll + salad. I love first courses and tasting plates! I didn’t eat much of this entree. A few bites of beef and risotto and all the asparagus. 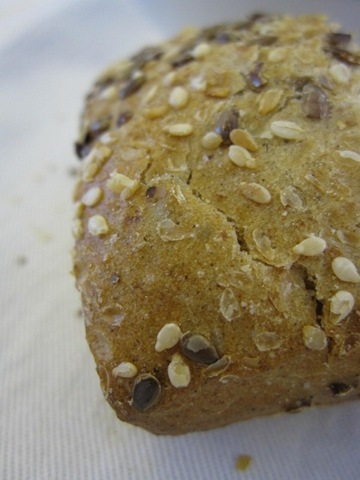 It wasn’t the best on the trip..
And I traded my roll for another flax-covered one! For “dessert” I turned down the Caramel Chocolate Cake (which everyone said was amazing) for a cheese platter. I was just in the mood for cheese and since I didn’t eat much of my entree, I wanted something more substantial. OMG – the goat cheese was sooo good! I ate it like a piece of pie! The one in the back was cumin flavored, which I didn’t care for (I only like cumin in Mexican and Indian meals). The blue cheese was pretty good too. 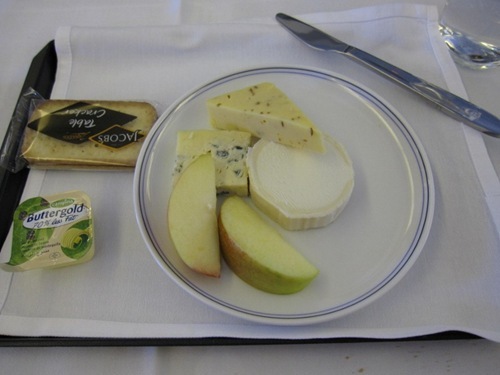 Near the end of the flight we were served a “Warm Snack,” which turned out to bed the best meal yet!!!! 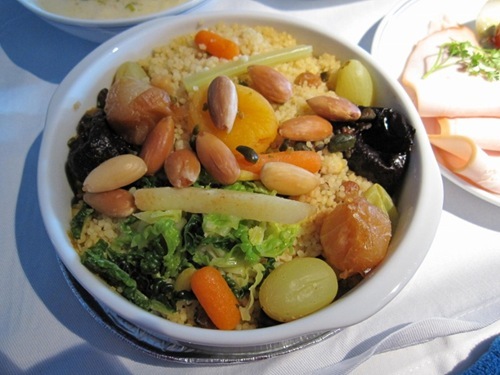 This couscous was awesome – dried fruit, beans, almonds! I ate it all (sans the 2 round onions!). And then another fun thing – a big fig and two dates!! Laslty we had Smoked Chicken with Avocado Cream and Fried Cherry Tomatoes. I just had some of that and some of the roll and all of the left-hand stuff. We landed at 8:15 Africa time. After a long visa line we met our driver who took us to the hotel. He said you can see giraffe’s in the wildlife park near the airport that we passed! Too bad it was dark. 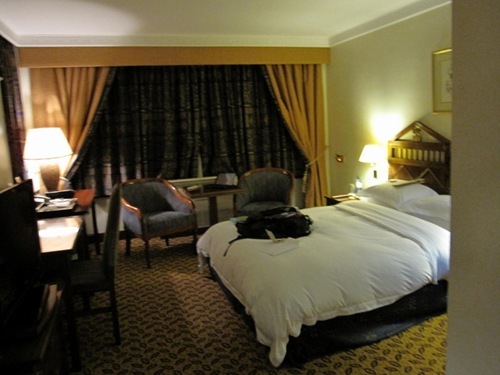 The hotel is nice and comfortable. 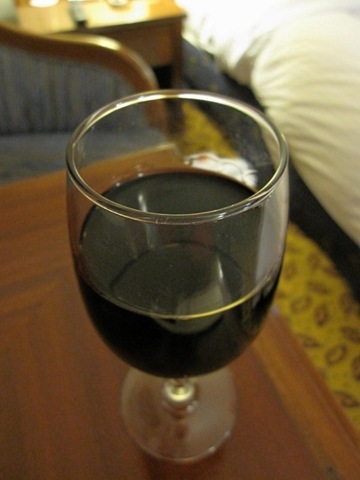 I was delivered MORE wine upon arriving!! I took a few sips to say I did but I’m wined out. And finally, here’s me after nearly 30 hours straight of travel and no sleep! I just took a nice hot shower and am glad I got the internet working – I was able to chat with my mom, which made me feel better 🙂 I’m slathered in bug repellant just having gotten clean again. Kelly and I are meeting for breakfast around 9. I think we’re going to stay around the hotel tomorrow because our other group members are arriving throughout the day. Just heard the news: GO DUKE!!!!!!!!!!!!!!!!!!!!!!!!!! 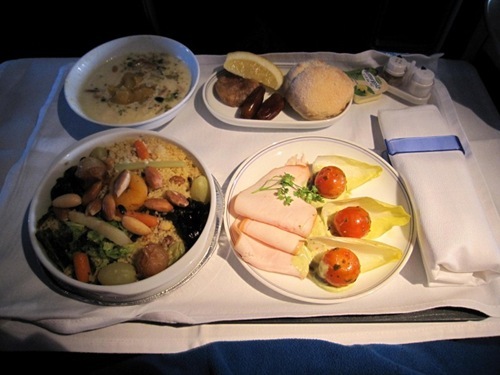 What airline(s) served all that yummy food? Impressive! 1) Chevre is the best cheese that there is of any kind, hands down. We bought a chevre every single day we were in France for Christmas (with my mahhhm, Tahhhm and Saaaaira). 2) I just discovered dates about a month ago. I love sweet things to death. Cake, brownies, candy, whatever — especially chocolate. But whenever I eat something like that for dessert, 30 minutes later I want to eat some more of it. If I eat a date, however, and chase it with half a liter of selzer or so, I’m totally and completely satisfied. Is it the fiber? Low glycemic index? I have no idea. Yay!! So glad you arrived safely! Rset up!! You have a few big days ahead of you!! SO GLAD YOU MADE IT!!!!!! Wow, what a food spread! Glad you arrived safely! Wow!! I haven’t really read in a few weeks, other than just popping on quick for a break from work. What is Kath doing in Africa? I saw something about touring Lipton. Sis she win a contest or something? Fill me in! 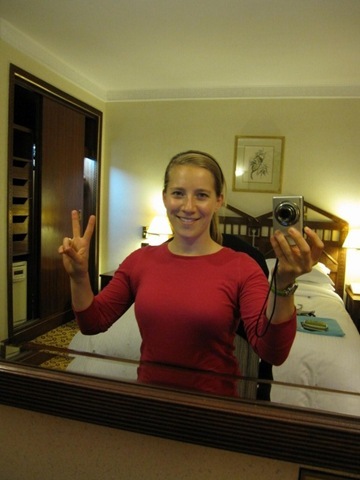 I LOVE world travel!!! Glad you arrived safely. You have an exciting week ahead of you. I’m so glad you got there safely! It must be so surreal to be in such a different environment with different animals and natural surroundings. I hope you have an awesome time!!!!! You look beautiful after 30 hours of travel!! Glad you’ve arrived safe and sound–and such yummy food along the way–excellent! 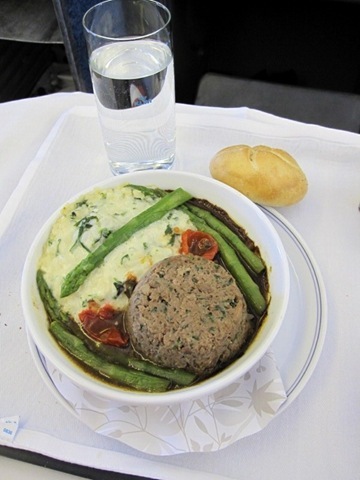 Wow, that is the most impressive airplane food I have ever seen! What airline(s) did you fly? Glad to hear you arrived safe and sound – sleep well! 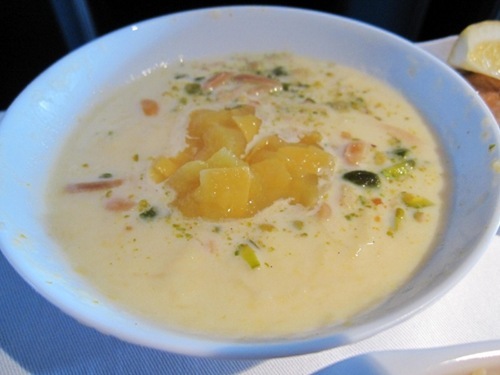 I’m impressed with the food they served on the airplane…looks like restaurant food! Yum! Here’s Kath’s post announcing her trip to Africa thanks to Lipton! wow i never thought i’d be so envious of airplane food! Mmmm, the food looks so good! Yay you arrived safely! The food you have had all looks so delish!!! Hope you get a good night’s sleep! Can’t wait to see some pictures of Africa! Cute socks!! They must LOVE airing The Office on airplanes because Michael Scott has kept me company before as well! Glad you made it safely!! Enjoy every single minute you’re there!! Glad to hear you made it safe and sound! I am so jealous of your flight! What airline? It makes me want to fly business class all the time! Sooo much yummy traveling food, and you’ve just been on planes, lol. SO glad you made it safely!!! Its just the start of what’s sure to be an amazing adventure! I fly often and have never had food that looks half as good as all that! (Maybe because I’m always in economy? )Very impressive!!! Here is a question for YogaDownload people – I was able to subscribe to the 20 min YogaDownload sessions through itunes – and I can then select which episodes I want. I don’t see anywhere that specifies the level (beginner, intermediate, etc), but I assumed #1, #2 and so on would be similar – so I downloaded Yoga for Runners #1 thinking it would be for a beginner – and it was HARD (for me anyway – who is a beginning beginner). Does anyone know how to tell which sessions would be good to try first? 30 hours without sleep . . . an interval i am very used to (and HATE!). you look much better than i usually do at the end of it! can’t wait for the next installment — so glad you’re able to post! 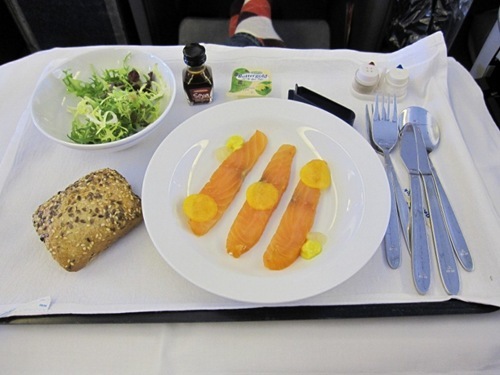 Whoa – so jealous of business class now! I’m glad that your travels were safe and tasty. Glad to hear you made it there safe and sound. Looking forward to more trip updates. You are fortunate to be able to experience all of this. And that airline food? WOW I have never seen such awesome stuff. Great to hear you made it! Food looks amazing. that food looks tasty, thanks for keeping us readers informed as you continue your adventures! 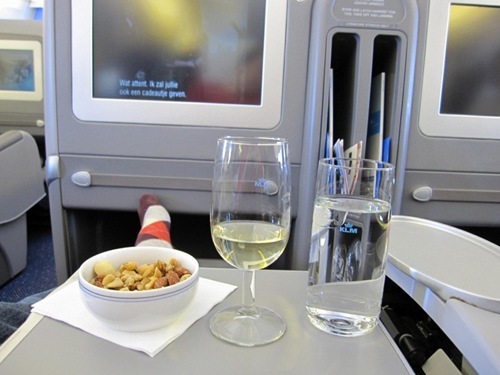 After I flew business class a few times, I wondered how I would ever go back. It is so nice. But back I have gone, I think it’s better not to know what you are missing haha. I am glad they are spoiling you. You deserve it, enjoy every second of your trip. Katy – On the top of the print-out pose guides, it tells you the level of each class. Also, on the square that you choose which session you want to download, it says the level. Hope this helps! YAY!! Glad to hear you made it ok!! It’s so nice to be able to get some feedback from your trip while you’re there. I’m sure you’re glad to have internet access too… makes you feel a bit more connected to this side of the globe. Hope you sleep well tonight! hahahaha the bears are adorable matt! wow, i’ve never heard of such luxurious flying in my life. and all that food is incredible and decently healthy, too! so. so. so. so. JEALOUS. Glad you made it there safely! I cannot believe all the awesome food your getting on the plane! What airline is that?? Looks like a great trip so far! terrific post – love your dedication and effort you put into this… Matt too! Enjoy! 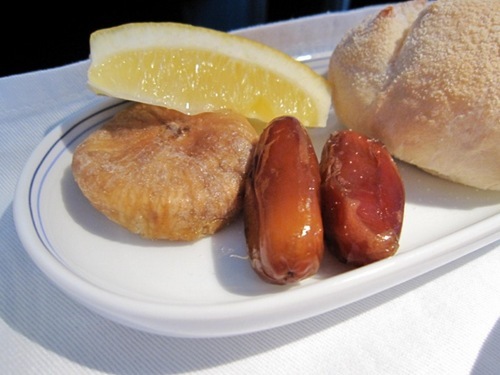 The airline food looks SO delicious! I love the variety and it seems healthy for the most part which is not common on most airlines! mmm wine. I had a smoothie in a wine glass tonight…think i might have to have a real glass of wine tomorrow night! If you go to Yogadownload.com, you can read all about the classes and see the levels there. 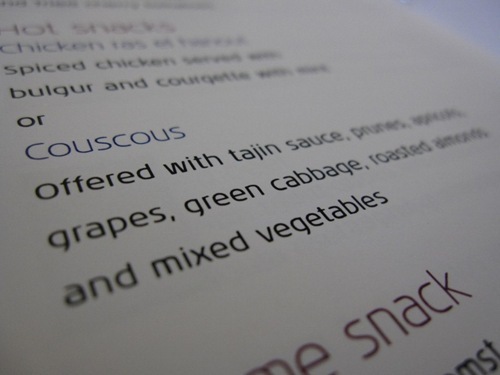 ohhh I never see cous cous in restaurants and I LOVE cous cous!! have fun on your trip kath, you looked great for having traveled for 30 hours! haha! 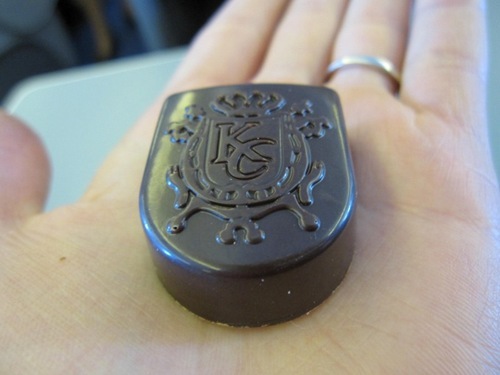 Who knew you’d be eating so gourmet on this trip…and on the plane, no less! Glad you made it safe! 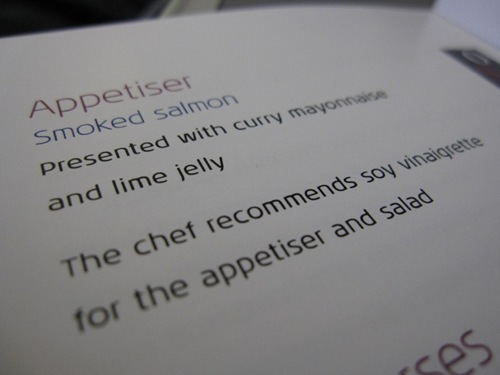 How can plane food look so good?! Glad you’re there safe and everythings sounds like it is going smoothly so far!! 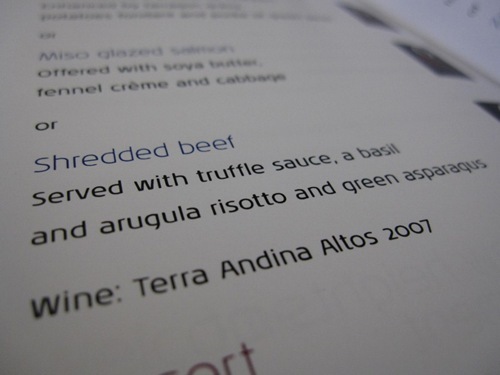 Hear hear for gourmet airline food!